A precursor to what TAG Heuer has in store for the rest of 2016, The Carrera Heuer 02-T Tourbillon is entirely designed in-house. The limited edition Black Phantom model is presented in a new black titanium Carrera case made from 12 separate modular parts, also available is a gray and black version. The name Carrera Heuer 02-T derives from an all-new TAG Heuer caliber powering the timepiece, the Heuer-02T. This chronograph movement is directly inspired by the CH-80 and is COSC-certified. 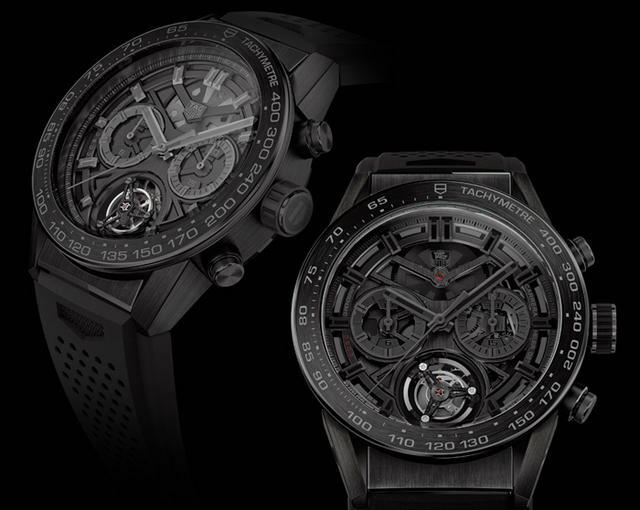 Looking at the movement, the black skeletonized bridges immediately jump out and contribute to the multi-layered aesthetic. 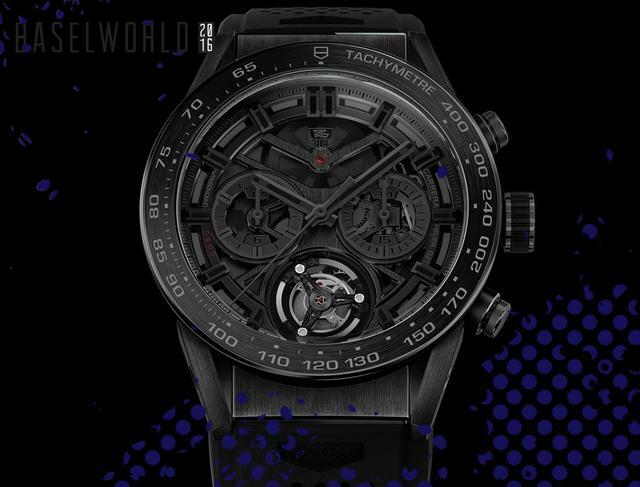 iW interviewed Guy Sémon General Director of TAG Heuer at Baselworld to talk about this new model. Sémon explains this watch was directly inspired by the 0T-1, especially if you look at the shape and the design in the 02-T Tourbillon.This new timepiece naturally shares the skeletonised, sleek, contemporary design of the new generation of Carrera watches with its skeletonized bridges, openworked hour circle and geometric appeal.